SHOP OUR NEW ONLINE INVENTORY NOW! Special discounts to Seniors and Military! Nothing compliments a room or a home like a beautiful area rug, and nobody can offer you a better price or selection than Carpet Mill Outlet Stores. We have literally thousands of area rugs options to choose from. Whether you are looking for a small throw rug or a handmade work of art, Carpet Mill Outlet Stores has an area rug for you. If you have carpet, tile or wood flooring, adding an area rug or two to your home will protect your floors in high-traffic areas from furniture movement and daily use. Area rugs are an instant update to the decor of your living room, dining room or bedroom. They come in many styles, sizes, materials and weaves so you can find the perfect rugs in Denver, no matter what your style. Thus, if you are looking for area rugs at best rates in Denver then you can choose Carpet Mills Outlet Stores. We proud ourselves in being one of the best places to buy area rugs in Denver. Questions about Area Rugs? Contact us today! visit our Area Rug Superstore in Littleton. What Size and Shape of Area Rugs are you looking for? What Area Rug color do you want? What Pattern of Area Rug is suitable for you? What Area Rug Style would suit you best? If you want to know that how to buy the best area rug in the right style for the right price then, you are at the right place. Carpet Mill Outlet Stores has a wide variety of Area Rugs to choose from. 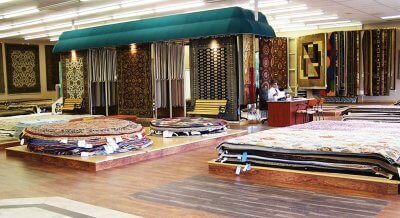 We carry brand names like Shaw Rugs, Mohawk Rugs, Sphinx Rugs and Momeni Rugs to name just a few. Casual-style Area Rugs: They will have either a basic pattern or no pattern at all. A simple monochromatic rug or a rug with a simple border will be in our “casual rug” category. Casual rugs are crafted of natural materials, including bamboo, simple wool, leather, jute and sisal. Contemporary-style Area Rugs: Most feature a geometric design; this can include geometric shapes, waves and squiggles, blocks, stripes and bold circles. Contemporary rugs also tend to showcase brighter colors than other styles of rugs. Compared to the subdued colors of casual rugs, contemporary rugs have bright, trendy colors throughout their designs, including bright, monochromatic shades. Country-style Area Rugs: This style of rug is categorized by having floral and garden patterns. Vines and flowers, in both bold and muted colors, can be seen on country area rugs. Country-style rugs might also feature farm animals and pictorial scenes of country or farm life. Food, like vegetables and fruit, mixed in with their other features like roosters and gardens, are common country-style motifs. Traditional-style Area Rugs: These area rugs are the easiest to identify. Their main features include Persian influences: intricate designs of vines, flowers and scrollwork in their borders and as their allover patterns. Traditional rugs are typically bordered, usually with inner borders, and filled with intricate designs. Transitional-style Area Rugs: Area rugs that feature a combination of contemporary and traditional, combining bold colors with Persian styles and borders. Novelty-style Area Rugs: The main features of novelty-style rugs are shapes, animal prints and specialty themes. Shaped floor rugs are often used in children’s rooms (think cars, stars, hearts and crowns), but shaped novelty rugs can also be popular with adults in recreation rooms, dens and for sporting events. Animal print rugs also fall into the novelty rug category; zebra and tiger stripes or leopard and cheetah spots can be used almost as neutrals or to complement bright colors. Sports-themed area rugs can feature logos, team names or team colors and are a great way to show your winning spirit and your support for your favorite team. Other novelty rugs include musical instruments or hobbies, animals that are not considered domestic or farm animals (like monkeys) and licensed characters from cartoons, movies and books. Outdoor-style Area Rugs: Rugs used for outdoor purposes are the crossover category for rug styles. Outdoor rugs can come in any of the styles above, and they also have the ability to be outdoors and withstand the elements. Outdoor rugs will be resistant to mold and mildew. This is the rug style you should explore if you plan to leave your rug outdoors and unprotected for long periods of time. With Carpet Mills Outlet Flooring Stores you can buy the best area rugs in Highlands Ranch, Arvada, Aurora, Evergreen, Fort Collins, Lakewood, Littleton and Thorton. We are present in a variety of locations for catering to the needs of our customers.